Of course, guests are welcome to cook their own meals. Pots, knives, cutting boards, dishes, and other cookware are available for rent. Check the FAQ for more information. In our “empty-handed BBQ set,” all you need to bring is your master grilling skills. We’ll provide the rest. 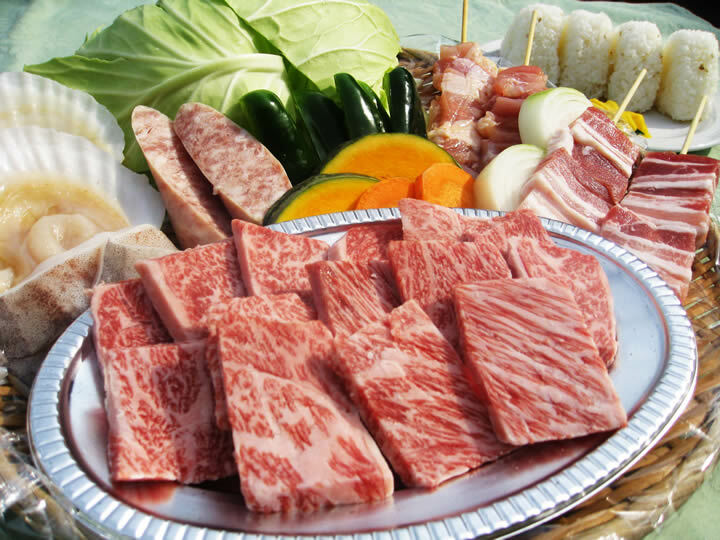 The set includes an assorted mix of vegetables and premium Kyushu wagyu meat. We take the hassle out of BBQ by providing all the equipment from a grill to charcoal, dishware, and condiments. We even handle all the clean up afterwards.